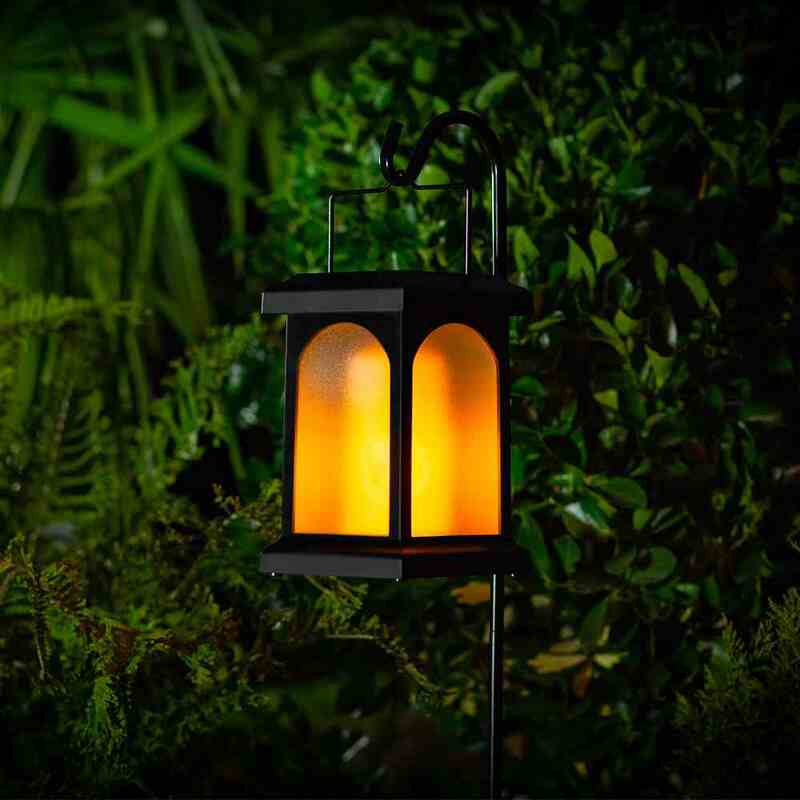 This beautifully designed USB chargeable solar powered crook lantern produces a stunning lighting effect which looks and moves exactly like a real flame. 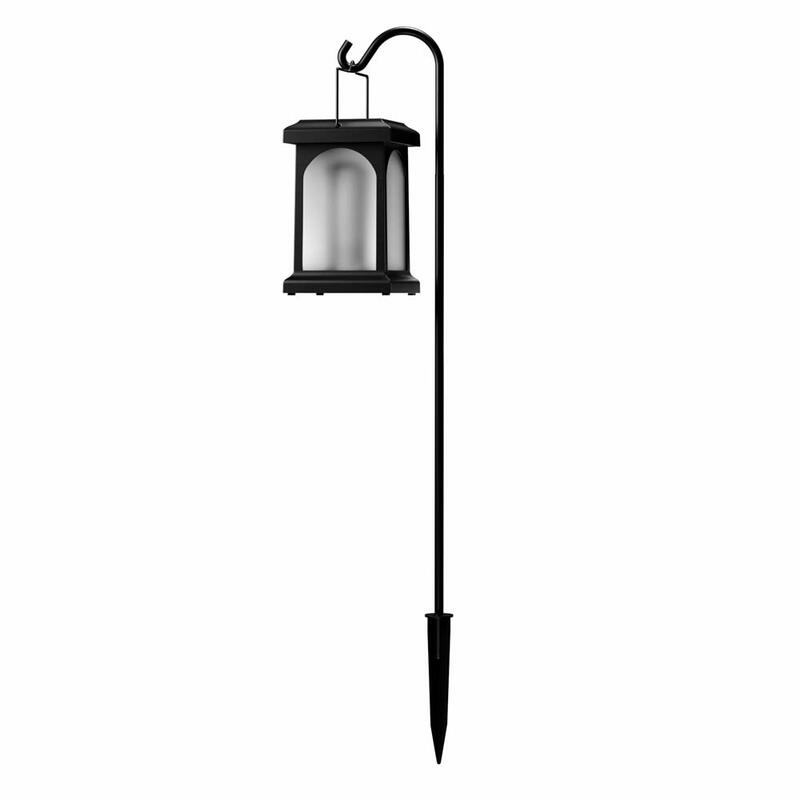 Perfect for marking borders, flower beds and paths, the TrueFlame USB Solar Crook Lantern can be staked into the ground using the supplied crook stake, or you can sit the lantern on tables or decking. 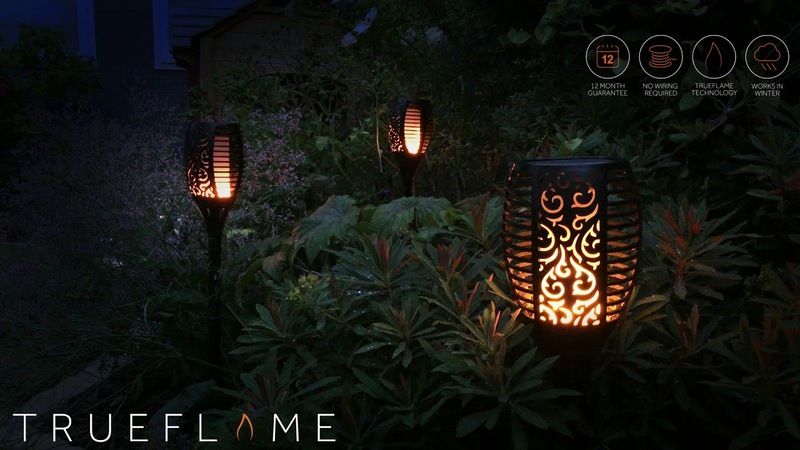 The TrueFlame is designed to work using solar power alone, but it can also be fully charged in just a few hours using the supplied USB charging cable. 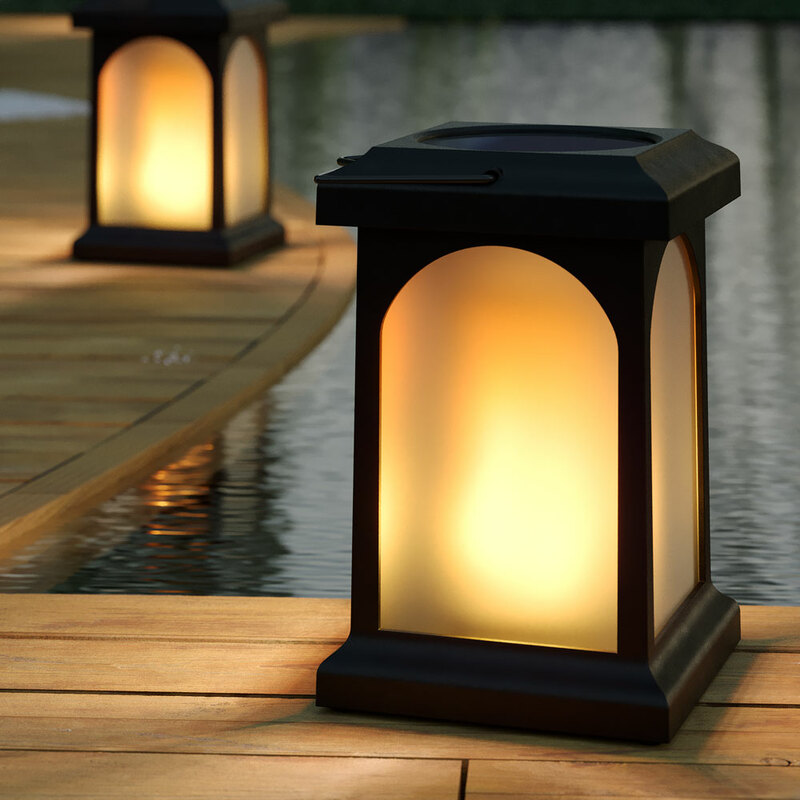 TrueFlame solar lights are designed to work year-round in the UK and come complete with an optional Powersaving mode which reduces brightness in favour of longer run times. Wireless, completely solar powered and fully automatic - turns on automatically at night, turns off automatically at dawn. Optional Powersaving mode for superb winter performance. Powersaving mode reduces brightness but doubles runtime each night. Simple quick and safe to install with everything you need in the box. Battery comes pre-installed. 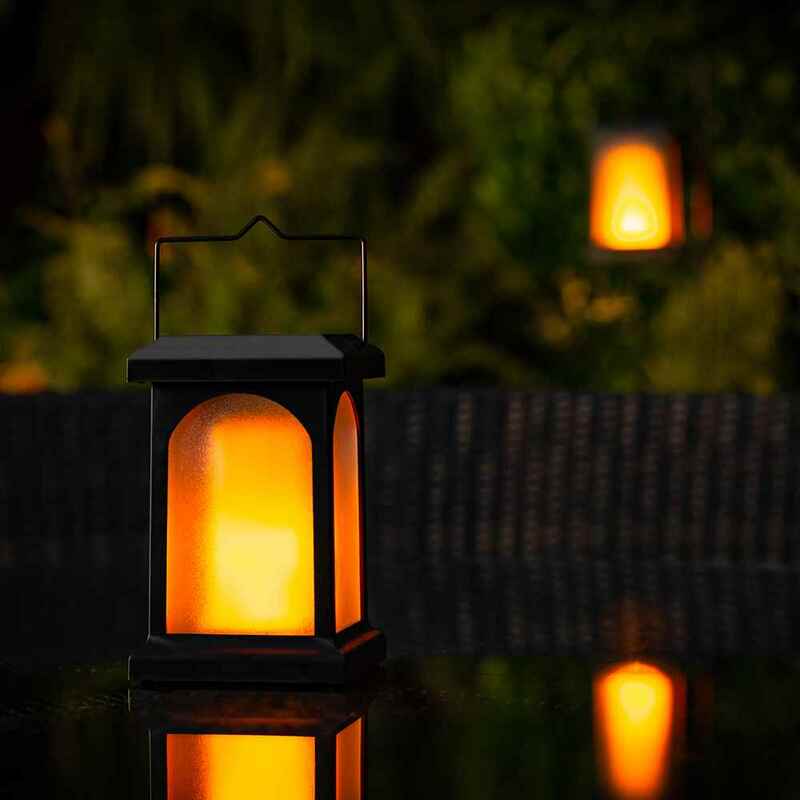 After purchasing two of these lanterns, I am so delighted with them that I am just about to order four more! 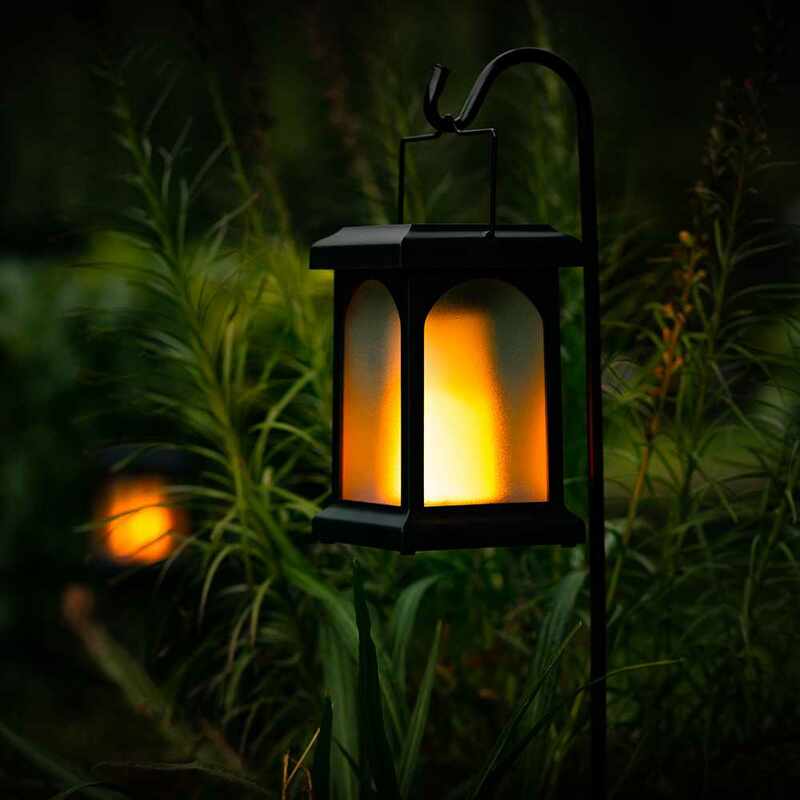 I have purchased numerous lights from the Solar Centre over the years and have always been so pleased with them but this lantern is on another level. It is so realistic with the flickering flame and even on the power save mode it is still extremely bright. 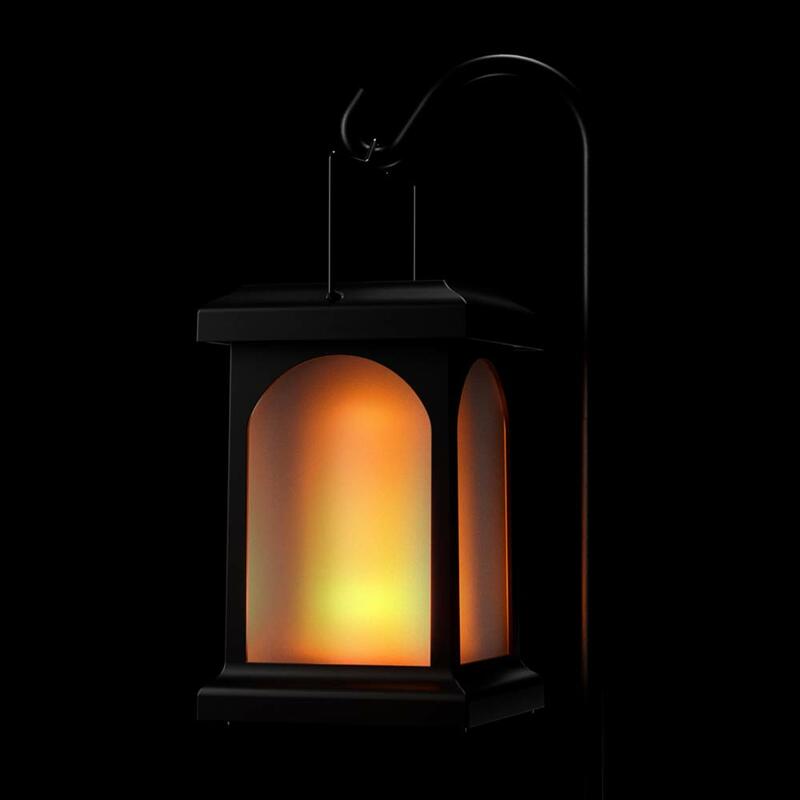 Purchased two of these lanterns to complement the trueflame torches. Not as realistic looking flame due to the frosted case.unfortunatly I dropped one .no visible damage but does not light up so take heed from a clumsy owner. 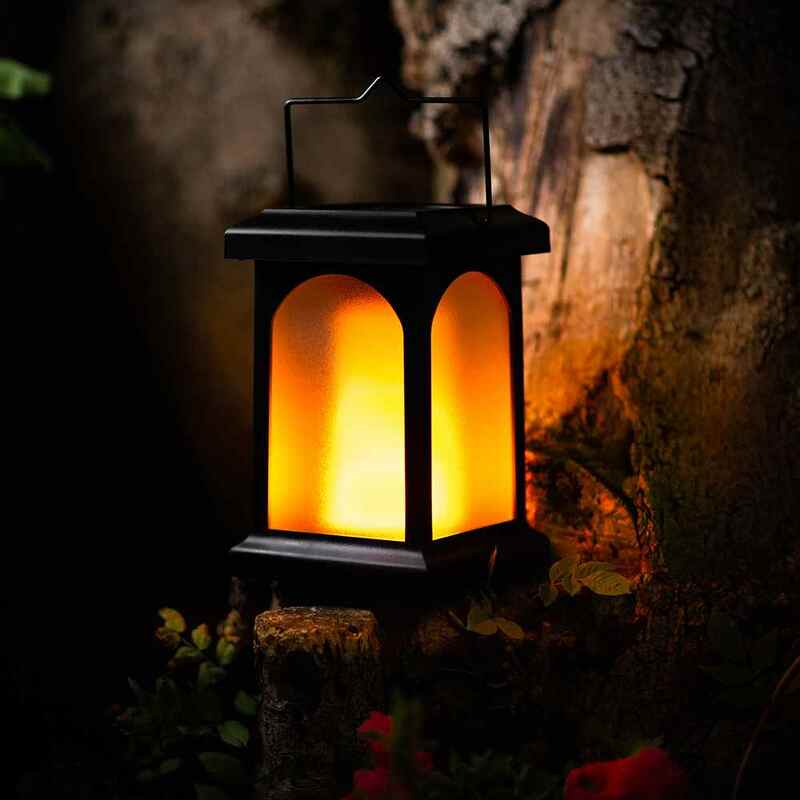 I bought myself two of these lanterns and a few more as Christmas presents. When I first got them I charged them up and used them indoors as it was over the Christmas period. I have now put them out the garden and they are very bright and very effective. Love them. Moving house soon and want to buy more for our new garden. I have also bought the London and Canterbury lights and would thoroughly recommend them. The company has an excellent customer service too. So far I am delighted with the crook lights. We had quite a lot of rain, so consequently little sun,during the first few days of March, but the lights have still been going strong at 11pm. Much more impressive than single bulb lights too! Lights were delivered when promised, and well packed. Simply choose your location and push the spike into the ground. Is the light source: led, bulb? replaceable? LED and you will not need to replace them. Could this be used in a sunny conservatory? Almost all glass has some sort of UV protection and filters out light which in turn reduces the amount of charge you get from a solar panel. However, the Lamp comes with USB backup so you could add additional charge as and when needed or pop the light outside in the day and bring it in at night. Could this be mounted on the top of a fence post say? i.e. could you possible screw through the base into the top of a fence post to secure it? This isn't how it's designed to be used however the base could be removed to allow holes to be drilled to secure it as you describe.